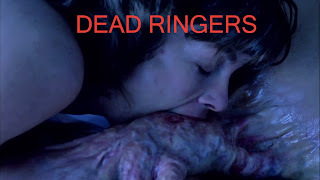 This week on Hit me with your best shot, we watched the early David Cronenberg film "Dead Ringers". It was my first time watching it and I'm not quite sure what to make of it. I found it a bit dry overall, but there were some strong moments that were quite chilling. Additionally, there were some scenes that were actually funny (was that intentional?). I feel I must also make mention of Jeremy Irons' great performance. He really made me believe I was watching two different persons. For my favourite shot, I went with an image that somewhat reflects the film's dark humor. My favourite shot comes from a surgery scene, where the doctors are asked to use these ghastly instruments. When he lays them on the table it really made my skin crawl. It was the film's most memorable image for me. 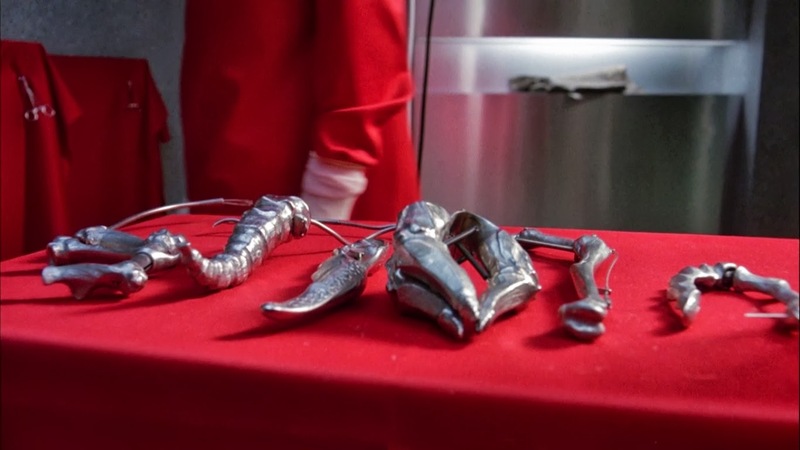 In terms of humor, that comes in later when these objects are on display with the label "Gynaecological Instruments For Operating On Mutant Women". Just seeing those instruments again makes me shudder. I'm glad I'm not a woman.